Fred is back and better than ever! 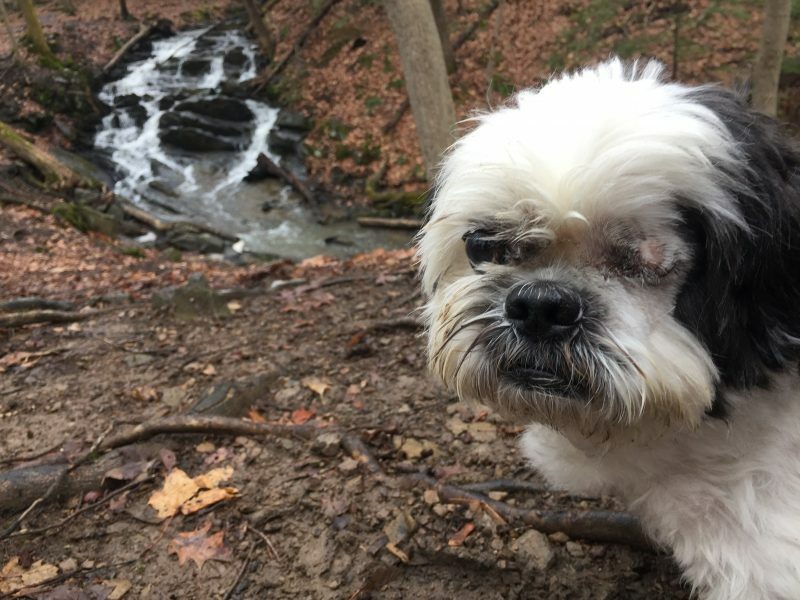 Our rescue Shih Tzu, adopted from a shelter owned by our friend Saint Lucy in Bethlehem, Pennsylvania, had a blind eye that needed removing. The surgery went well last week and today we proved it with a recovery walk in the woods of Ulster County. Scenic Hudson trails, especially those along the Hudson river, never disappoint. 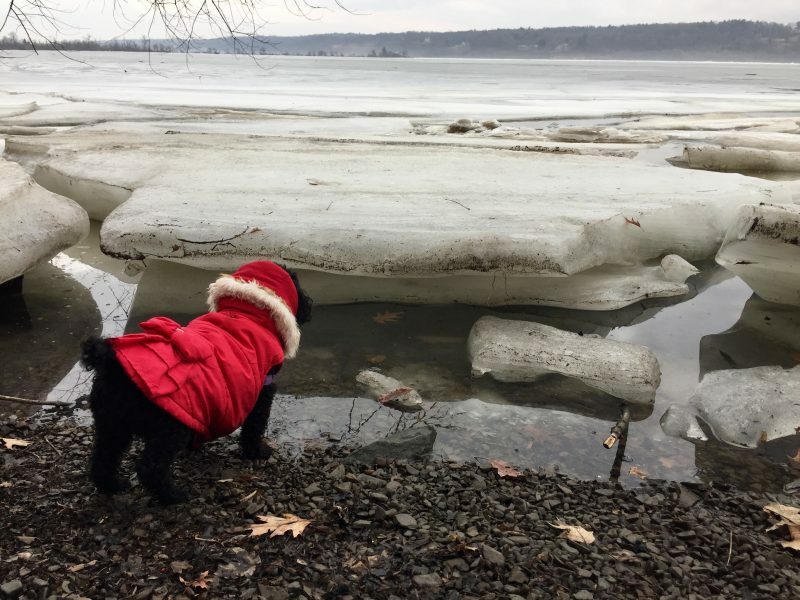 Fred explored two miles worth of shoreline at Falling Waters Preserve, the former estate of a prominent Veterinary that lies just south of the town of Saugerties. Smells still abound here as evidence from how many times Fred stopped to mark his territory! We all stayed dry along the Upland Trail, a gravel road leading past a quiet hayfield and scenic overlook of the Catskills in the distance. But, that changed along the rocky Riverside Trail with Fred’s shiny white coat dragging in the mud for the remaining mile. He didn’t care in the least. A bath would come soon enough. While our one-eyed oddity doted over views of the Esopus Creek; Renee, our other toy, contemplated doing a polar plunge along the icebergs built up on the shoreline. No time was left to explore the remains of the 19th century ice house. Next time.